To celebrate the latest accomplishments of inventing a whole new paradigm in personal computing with the iPad, and just becoming the most valuable publicly traded company in history, Apple is looking to build a new campus in Cupertino, California. And the new campus design looks basically like a UFO. 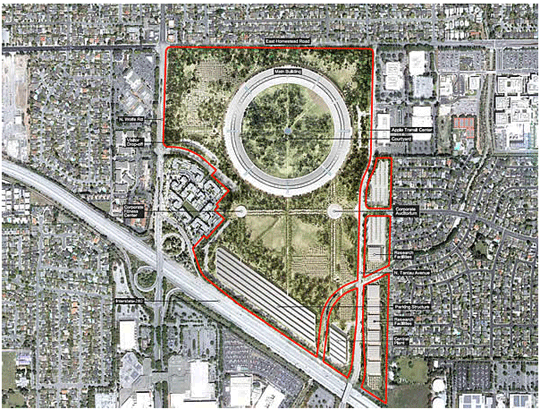 According to the Cupertino City Council’s website, Apple Inc. has submitted a development proposal for their new Apple Campus 2 on a 175 acre area bounded by I-280 to the south, Wolfe Road to the west, Homestead Road to the north and North Tantau Avenue to the east.